Axis used to compute the means and standard deviations along. If 0, transform each feature, otherwise (if 1) transform each sample. 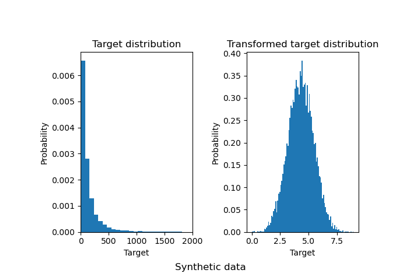 Performs quantile-based scaling using the Transformer API (e.g. as part of a preprocessing sklearn.pipeline.Pipeline). Maps data to a normal distribution using a power transformation. Performs standardization that is faster, but less robust to outliers. Performs robust standardization that removes the influence of outliers but does not put outliers and inliers on the same scale.